"Seeking happiness is a natural instinct, finding it is an education." » THANKS FOR YOUR eMAILS! The right way for professionals to learn Spanish is to learn the Spanish of the profession. 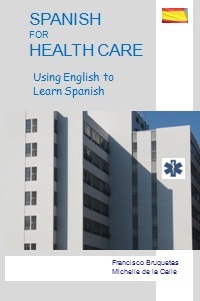 Spanish for the Health Care is intended for professionals with no previous knowledge of Spanish. The goal is to communicate with patients. 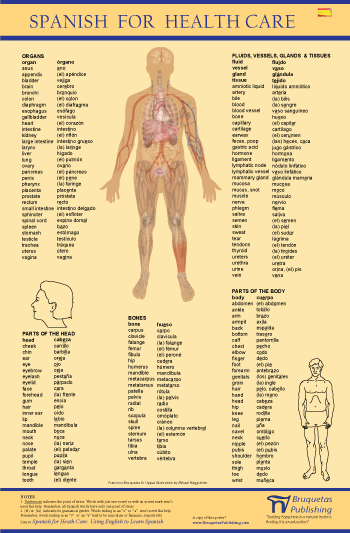 The book focuses on the dialogue to understand symptoms, and convey diagnostics and instructions. .
Healthcare vocabulary from chapter one. "A very readable paperback, it aims to permit self-education in Spanish for the English speaker and succeeds to considerable measure" (more). 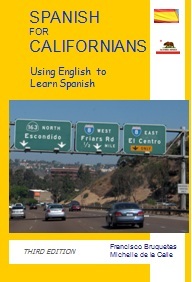 Spanish for Californians shows the Spanish of Latin America and the U.S. One of the twenty-two Academies that represent Spanish is in the U.S. The book teaches the common and the particular within the norm (more). Now that you can communicate, it is time to get to the point and perfect your Spanish. 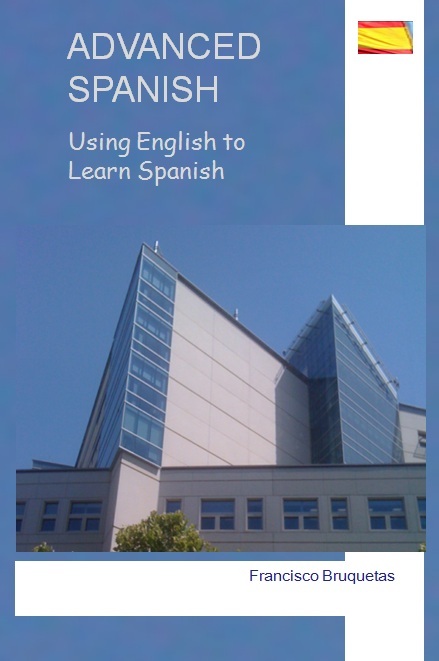 Advanced Spanish focuses on those topics that are an obstacle for your fluent Spanish. This is one of the books for Spanish that you need to keep. "I sang / I was singing"
"I suggest that he... goes /go"
"I wrote... a letter to Juan / it to him"
A perfect manual for engineers working with Spanish. 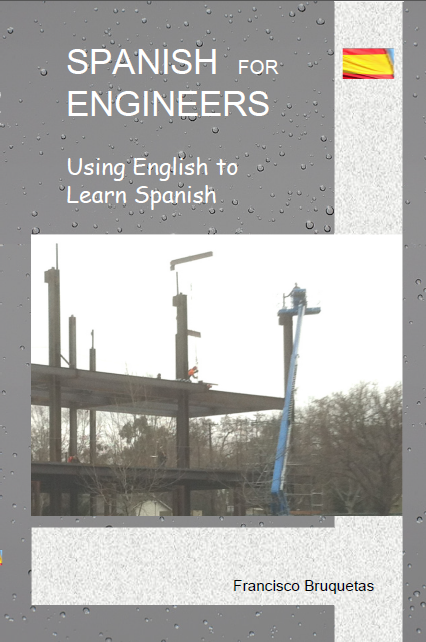 Spanish for Engineers is for professionals in technical fields, engineers or project managers.